Walking in a Winter Woodland! 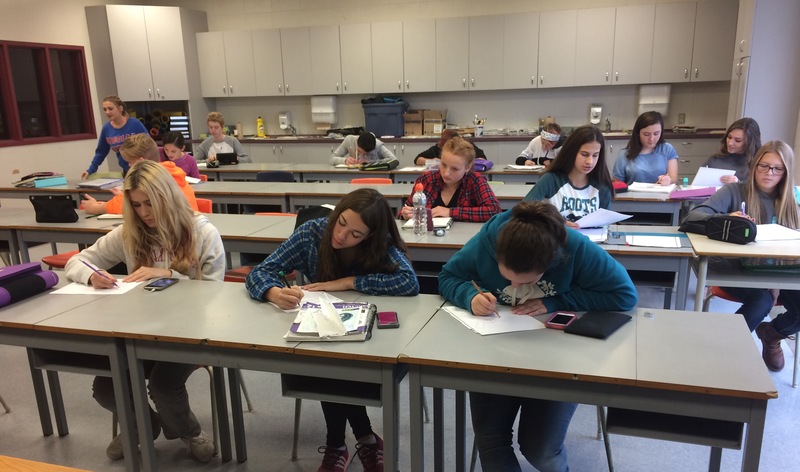 Within the last few days, the Grade 9’s have been working in their sketchbooks and on their Woodland Art pieces. The students have lots of energy and have been working hard on their art, following up to the Christmas break! Heres just a look on what the Grade 9 Art Class is working on weekly. 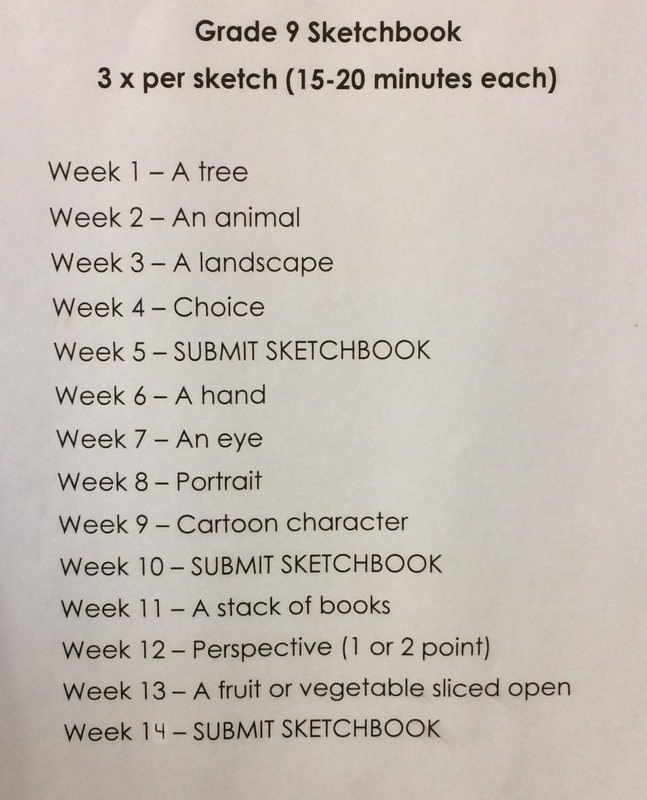 Students have to draw 3 drawings of these topics, for their weekly sketches. The drawings only have to take 15-20 minutes long. Students like doing these to de-stress and doodle on their free time! Today, the Grade 9 students return from their Bring Your Kid To Work Day experience, to work on their portraits and Haida designs. Their Haida design is a picture they have to make, using the aboriginal (Haida) art style. The class is eager to see how their art will turn out in the near future! 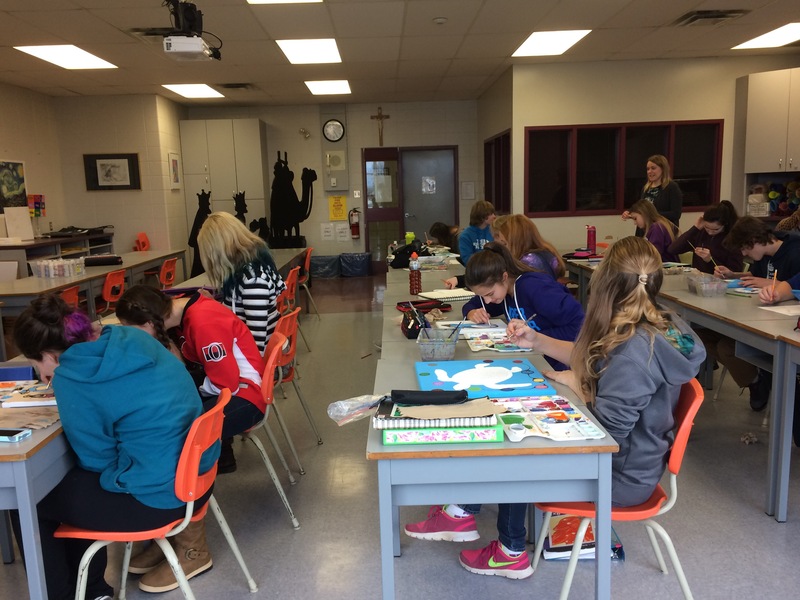 Below, are some pictures from the Grade 9 Art Class, who were continuing their Aboriginal Story Paintings. These Grade 9’s have some serious talent, and they’re not messing around. Every stroke, slash and dab of paint count to these young artists! 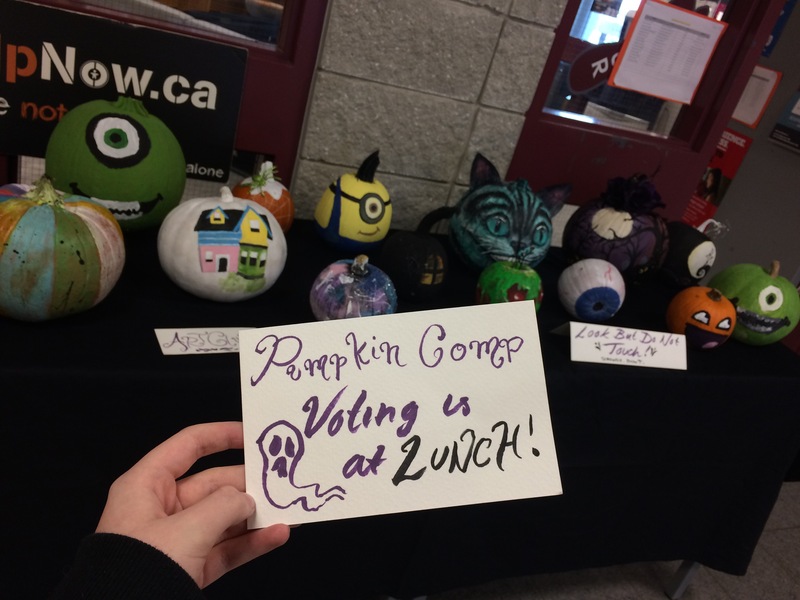 Art Club is voting THIS LUNCH who’s pumpkin is the most creative from them all! The pumpkins are set out in front of Student Services, you can look but please do not touch! Come take a look before they get voted! Remember-everyone’s a winner! During Wednesday’s Art Club, students had a blast panting pumpkins! They are having a contest to see who can paint the best pumpkin, for Halloween. The winner of the contest will get a “unknown prize”. The winner has not yet been chosen, due to it not being over yet! Anticipation is rising for the artists, good luck! Art can be expressed in many ways, like through makeup. So if you have a fierce eyebrow game, or eyeliner that could cut someone, now is the time to let your true talent shine! So get out your makeup brushes, eyeshadows, and highlighter, and start working on your Halloween costumes. The contest went great! Everyone had lots of fun! If you didn’t make it because you were sick, went out for lunch, or just forgot, you don’t have to be sad anymore because there is always this Wednesday! So quit your crying and come down to the art class for more fun! 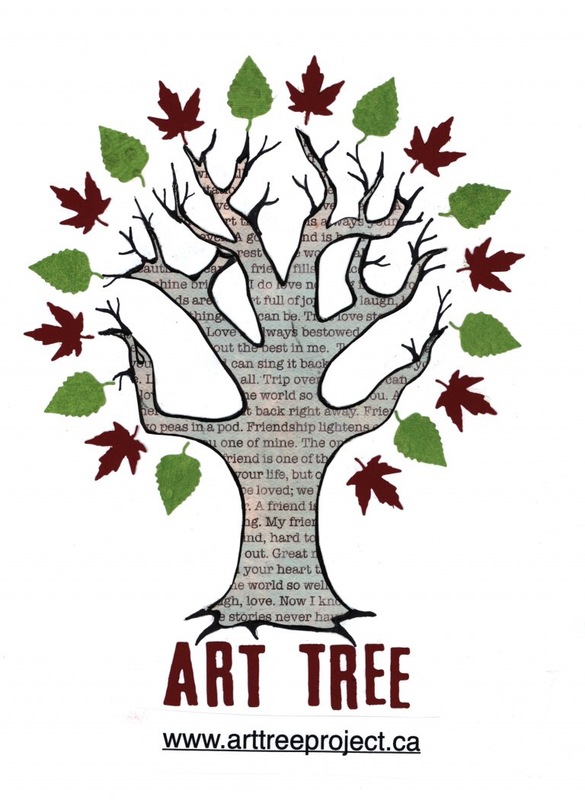 The Ottawa Valley is looking for students to join The Art Tree Project to be on their marketing team. Student’s can earn their community service hours by spreading the word of National Arts & Culture through social media and other marketing strategies. 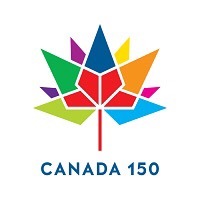 The Art Tree Project is about any kind of group within any community, getting creative and sharing their heritage, as well as celebrating being Canadian. Your “group” can be your family, school, workplace, church, team, or an organization of any kind. To contact the creative director, Marlene Schaly, email her at at schalym@gmail.com or call 1-613-433-3274.